The NEM Summit 2015 was organized in cooperation with the Frankfurt Book Fair. The 2015 NEM summit edition was held on Thursday, October 15 & Friday, October 16 @ the Frankfurt Book Fair (Frankfurter Buchmesse, Ludwig-Erhard-Anlage 1, 60327 Frankfurt am Main, Deutschland). The NEM Summit exists since 2008, and has traveled around Europe! Want to have a look at past events? Here is all about the NEM Summit previous editions. 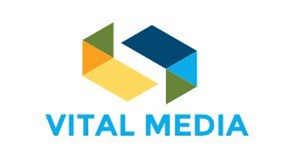 The NEM Initiative is supported by VITAL MEDIA project under the Horizon 2020 Programme of the European Union.